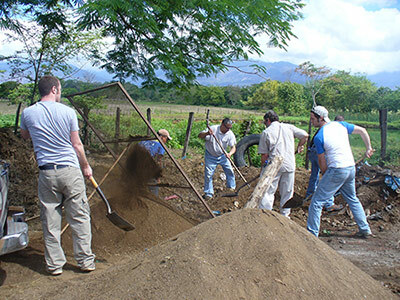 Some of these photos are from the missions in Guatemala and Honduras in 2018. Working in indigenous places high in the upper Petén of Guatemala with actual Mayans or with the Lincas of Honduras in the mountains of La Esperanza, isn’t exactly like sitting on a beach and basking in the golden rays of a refreshing sun as the ocean continually sighs with rhythmic waves. I will promise you though, that working with the less fortunate is a lot more gratifying. The sea has no reason to remember us, but the people you help will, even if they can’t pronounce your name. For some reason they usually pronounce my name as “Wex”. 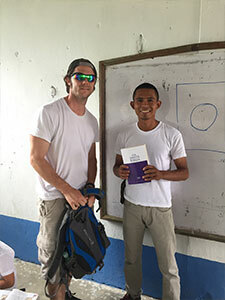 I don’t really mind, as long as they can read Spanish and learn what the Bible has to offer, there is a gratification touching, changing, and improving a life with eternal impacts. 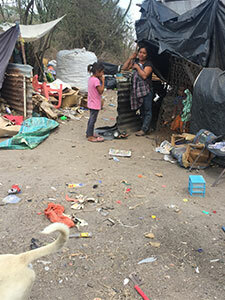 I’ll never forget the people living in the dump of Zapaca. It is a scene from Hell. About ten acres of smoking, black, copd-inducing, misery, populated by the poorest of the poor who go through the trash to collect plastic. 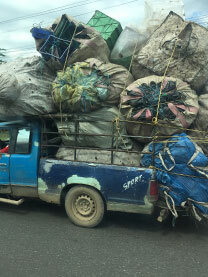 The photo of the truck from Honduras, has a similar story because the containers on top of the ridiculously overloaded truck each contain $2 worth of plastic. Guatemalan’s would spend days filling those containers to sell for two dollars. They know they are poor, but they don’t know how poor they are. Wealth and poverty are a state of mind. I once saw a man in Honduras who was walking over a swamp of feces and crabs on his way home and he was singing about Jesus with a joy I have never seen a millionaire on to possess. I’ve seen firsthand, as children were lined up to get clean water and other children lined up in large rows as I placed tortillas on their plates for the assembly line. There is a child covered in filth, head to toe, eating with a smile of pure joy as he fills his stomach with the beans, cheese, rice, tortillas, and a little bit of sauce. He was slurping down the water as if trying to extinguish a fire in his stomach before racing back to get a refill for his old bottle that someone has thrown away. For some reason I felt guilty that I had clean hands but remembered that I was poor once too. I never lived in a dump and I have earned all that I have, but sometimes giving hurts those you give to. It is best to understand their culture before giving. If gringos just go and give aimlessly, they are likely to hurt those they are trying to help. I remember going from house to house, seeking out anyone who had any medical ailments and checking my supplies to see what I had to offer. With every stop I would see who needed Bibles. It was more rewarding and purpose attaining than working in the emergency room. Visiting clinics and giving infants clothes for expecting mothers is just a way to offer love and let someone know you care. Each person has their part to play. God hasn’t called me to go to the slums of New York or Detroit, but He has called someone else to. We are all part of the vine if we choose to be and Christ is the root and stem. If we want to be a part of his kingdom, we can grow where we are planted. If He calls us to serve in San Francisco or San Pedro Sula, we must heed the call and when we do, we will experience more purpose and satisfaction than what we can comprehend because we touch life, improve it, and convey love. If you cannot speak the local’s language, the best love is conveyed through the hardest work. Sweat and time are excellent ways to convey it. 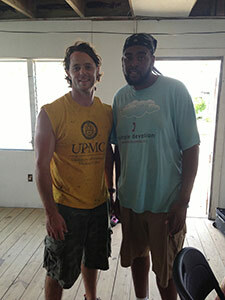 The worst I ever sweated was in Honduras, working on roofs. I drank two gallons of water in a couple hours and didn’t have to pee. Sweat was just dripping off of my nose, but the work displayed the love, the love displayed a source for the actions that started the fire of curiosity in the locals, which further caused them to ask questions and then accept Bibles. I could write a book full of circumstances and situations, but none of the desire came from me directly. Had I not known of what Christ did for us, I would have no reason to go. Just a few things to think about, when reflecting on your own life. Do you know Jesus Christ? Almost all people who go on missions anticipate being part of some blessing over people less fortunate than them. 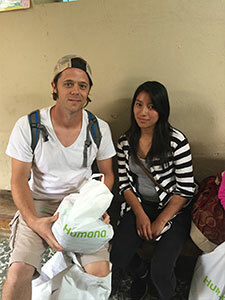 We hope to improve their lives in some way, doing what we can, giving the best of our trades, talents, gifts, and our time to others we deem less fortunate. In my experience, for I can only speak for myself, I have had my eyes opened and am almost ashamed of my ignorance with this very perception of a mission prior to going to Central America. Going on my first mission as carpenter, I was able to work at an orphanage that began with a man from Ohio, who dug a two mile trench by hand, developed a water reservoir and from that, irrigated crops. With the proceeds he created an orphanage and guided these Hondurans to Christ, giving hope to thousands of the children who were left behind with no parents, no food stamps, no health care, no social security, no welfare, and no education. As a registered respiratory therapist, a registered nurse and a carpenter, I thought I had a lot to offer. I assumed there would be a lot I could do to help those less fortunate. I was right to some extent, yet my eyes were opened at the same time. What I found was that when sincerely praying for effectiveness in others’ lives, those I made an effort to help were much more of a blessing to me, than I could have been to them. I might have improved their houses, their living conditions, or their health, but their faith made me feel so small. I walked into a church service. It was led by a 13 year old boy whose singing and worship humbled me to my core. With absolute certainty I could feel God’s presence as this small church joyfully worshiped Him. I knew I wasn’t worthy to be there. That was my first wakeup call. A channel inside my chest opened, a new reason and knowledge began to manifest as easily as light through a pane of glass. Their voices, enthusiasm, and faith had summoned a desire to get closer to God. There are barriers in between cultures, such as language, customs and habits. From my experiences I have concluded that there are ways to breach these barriers, such as work, learning their language, and respecting their traditions. For three days I worked on a roof on the coast of Honduras, painting the roof to prevent the salty air from destroying the metal. I was sweating so much that I drank 2 gallons of water in six hours and didn’t have to void. People who walked by, seen how hard we worked and wanted to know why. Neighbors wanted to know, what was the gringos’ reason, their source or their hope. Why were these “gringas” (American women) taking food to different houses and talking to families about this Christ? This is the point. If you can help someone better their house, their health or in some other way, convey to them through your talents, trades or time, that you do not know them, but you love them, this love is from God through you. Without God how many missionaries really are there? If you can say, “I don’t know you, but I love you,” after all of you have done, you will have credibility. You can give that person a bible in their language and they will desire to have that meaning–the source of hope that you have. One last note on my personal experiences. Everyone is equally valuable in God’s eyes. On another house, after working on some flooring and getting up on the blazing hot roof, surrounded by a swamp of feces and crabs, a new friend I made held my rope for me. He is an amazing musician. When in the church, he could play songs and produce music that would encourage hearts to open up, to sing with more enthusiasm and thus bring on a greater praise. I didn’t feel like I was worthy to be there because I knew he was God’s vessel, yet when I was on the roof, he told me he felt like he wasn’t doing anything. I told him, that without him helping me, I couldn’t do what God sent me to do. Everyone who makes a point to follow God will have a place. No one is more important than the other, yet we all need each other and are all necessary. 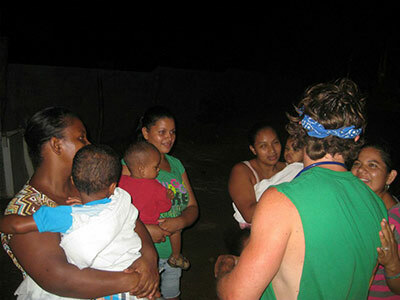 Going to Honduras opened my eyes as I made new friends with people of all ages. I then felt the stir in my chest–that inner calling. I began to understand what it was my parents and grandparents told me. There are things infinitely greater than our selfish ambitions. 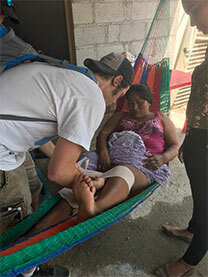 I was able to establish relationships with these Hondurans after using the carpentry skills my father taught me and was able to establish other relationships using my skills as a registered nurse to help children in very unsanitary conditions. Soon I will be going to Guatemala to serve and establish more relationships, convey God’s love, and share the good news of Christ. People from one of the poorest nations in the world, with some of the most hostile statistics, lived and still live a life very different from mine. In these lives clean water is a struggle to acquire every day and because of this, dreams have no place because the biggest concern is survival. Now try imagining having one or two children who cannot go to school because they walk, sometimes for four hours a day, just fetching water out of their only resources such as, scum-filled, parasite-infested, stagnant ponds. Also in their everyday trek, as these boys and girls exhaust themselves dragging this water back home in pots and jugs, they are fighting the constant uphill battle that dirty water presents, such as typhoid fever, diarrhea, cholera, worms, malnutrition, and parasites. One drop of water can contain over a billion bacterial organisms. Water is the number 1 killer in the world. Dirty water kills more people than HIV/AIDS, malaria, war, and vehicle accidents combined. Sadly, clean water is often flowing below ground, but is not tapped into. 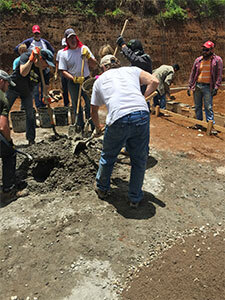 A water well can literally change the lives of a village in Central America. Time can be given to children so they don’t have to walk for hours in the mornings, so they can go to school instead. Hope can be given, because these cycles of deprivation can be stopped. Children can grow to their greatest potential and not suffer the stunted growth epidemic such as in Guatemala from malnutrition. It is one thing to read about it, hear of it on the radio, or even see it on television, but to experience it, being in the presence of unnecessary starvation and sickness is another dynamic all together. Below are some links to missions I have either personally served on or am going to serve in the near future. Twenty-five percent of all proceeds from The Christian and the Lion, are going to these missions. If you would feel like donating more, the links to these missions are listed here.